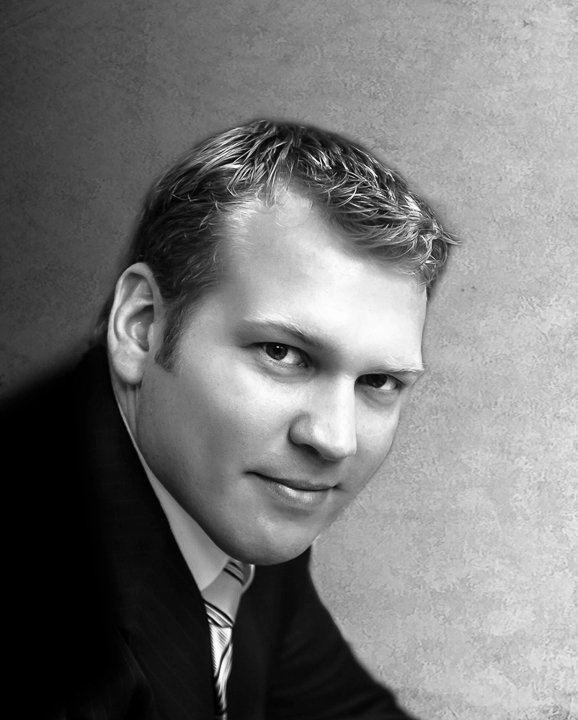 Dr. Chris Nowinski is frequently credited with being the person most responsible for bringing the concussion and CTE crisis to the forefront of global consciousness. Over a decade of his aggressive advocacy has reshaped how we understand, research, and treat the effects of brain trauma, and how we play sports, from professionals down to children. 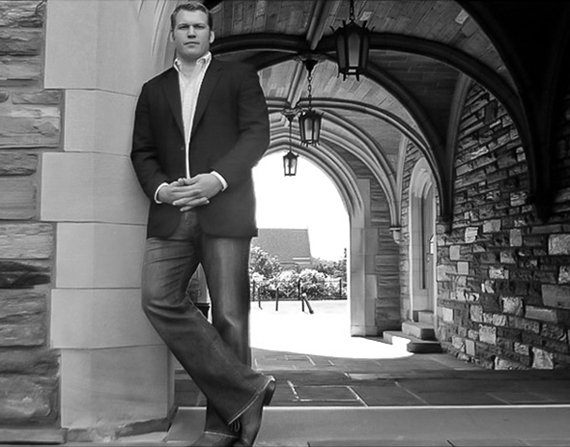 Dr. Nowinski is the founding CEO of the Concussion Legacy Foundation, a non-profit organization dedicated to solving the sports concussion crisis through education, advocacy, and research. Chris co-founded the VA-BU-CLF Brain Bank and the BU CTE Center, where he serves as the Outreach, Recruitment, Education, and Public Policy Leader. He received his Ph.D. in Behavioral Neuroscience at Boston University School of Medicine, and is the author of the book Head Games, as well as 25 medical journal articles. Chris suffered a serious concussion in June, 2003. Due to his ignorance of concussions, he was not honest about his symptoms and continued to wrestle and work out for five weeks while symptomatic. He developed post-concussion syndrome and was forced to retire. It wasn’t until he visited the renowned neurosurgeon Dr. Robert Cantu that Chris was first exposed to medical research that revealed to him that concussions and brain trauma were misunderstood in the sports world. Chris realized that this lack of awareness among athletes, coaches, and even medical professionals not only cost him his career, but also threatened the health and well-being of athletes of all ages. He wrote the critically acclaimed book Head Games: Football’s Concussion Crisis, published in 2006, in an effort to educate the world about this serious public health issue. In 2012, the book was adapted for the documentary film of the same name, Head Games, directed by Steve James, and the book was updated to coincide with the film’s release. Both the book and documentary were updated again in 2014, now as Head Games: the Global Concussion Crisis. In November, 2006, Chris led the investigation that found 44-year-old former NFL star Andre Waters was suffering from Chronic Traumatic Encephalopathy (CTE), a degenerative brain disease caused by trauma, when he committed suicide. Chris obtained permission from the Waters family to study Mr. Waters’ brain. In 2007, Chris co-founded the Concussion Legacy Foundation with Dr. Cantu to advance that research and translate findings into smarter and safer sports. In 2008, the Foundation partnered with the Boston University School of Medicine CTE Center, the first research center in the world dedicated to the study of chronic traumatic encephalopathy (CTE), a degenerative brain disease associated with brain trauma. Chris has led recruitment for the VA-BU-CLF Brain Bank, which is now the largest in the world with more than 425 brains donated, and over a thousand more pledged. Today Chris serves as an unpaid advisor to the NFL Players Association Mackey-White Traumatic Brain Injury (TBI) Committee, the Ivy League Multi-Sport Concussion Review Committee, and Major League Lacrosse. He also serves on the Positive Coaching Alliance National Advisory Board. Chris and the team’s work has been featured in print outlets such as the New York Times, Boston Globe, Washington Post, Sports Illustrated, USA Today, Chicago Tribune, Time Magazine, ESPN the Magazine, and The New Yorker, and has been featured on television programs including 60 Minutes, PBS Frontline, ESPN Outside the Lines, CNN, Fox News, TSN, ABC Nightline, and makes frequent radio appearances. His profile in May 2007 by HBO’s Real Sports with Bryant Gumbel won the Emmy for Sports Journalism, and he and his work have been featured in six subsequent episodes in January 2010 (NFL and CTE), August 2010 (ALS and brain trauma), November 2012 (college football), October 2014 (CTE and violence), June 2015 (youth soccer heading) and October 2016 (youth tackle football). Chris also provides the voiceover for the US Centers for Disease Control and Prevention (CDC) Concussion Training for Coaches video, which has been seen by millions of coaches. In 2014 Chris and CLF received the ETHOS Award from the Santa Clara University Institute of Sports Law and Ethics (ISLE), which honors a decision, action, initiative, or program that has contributed to the ethics of sport in the United States. In 2012, Chris received the United States Sports Academy Distinguished Service Award and the Sport at its Best Award as a Player Safety Advocate from Ralph Nader’s League of Fans. In 2011 Chris was named an Eisenhower Fellow, a program which identifies, empowers and links outstanding leaders from around the world, helping them to achieve consequential outcomes across sectors and borders. On his Fellowship he traveled through Europe to advance CLF’s mission and create research partnerships (read his blog of the experience here). He also received the Presidential Medallion from Western New England College, the school’s highest honor, and the Zach Lydstedt Angel Award from the Sarah Jane Brain Foundation. HealthLeaders Media named him to the HealthLeaders 20, recognizing “People Who Make Healthcare Better,” and Hockey News named him to the 40 Under 40 most powerful people in hockey. In 2010, Sports Illustrated named him a finalist for Sportsman of the Year, and he received the Patrick Brady Award from the Brain Injury Association of Illinois. In 2008 he received the CoBI Award from the Council on Brain Injury and received a Compassionate Action Award from People for the Ethical Treatment of Animals (PETA) for creating the brain donation program, which will provide information that can usually only be obtained from animal studies. Chris is a frequent speaker on leadership, overcoming adversity, and various aspects of brain trauma. Since 2004 he has spoken more than 330 times at universities, corporations, conferences, high schools, and sports organizations around the world. • Lin AP, Ramadan S, Stern RA, Box HC, Nowinski CJ, Ross BD, Mountford CE. Changes in the neurochemistry of athletes with repetitive brain trauma: preliminary results using localized correlated spectroscopy. Alzheimer's Research and Therapy. 12/2015; 7(1). • Kroshus E, Baugh CM, Daneshvar DH, Nowinski CJ, Cantu RC. Concussion Reporting Intention: A Valuable Metric for Predicting Reporting Behavior and Evaluating Concussion Education. Clin J Sport Med. 2014 Jul 21. • Robbins CA, Daneshvar DH, Picano JD, Gavett BE, Baugh CM, Riley DO, Nowinski CJ, McKee AC, Cantu RC, Stern RA. “Self-Reported Concussion History: Impact of Providing a Definition of Concussion,” Open Access Journal of Sports Medicine. 5: 99-103. 2014. • Stern, R.A., Daneshvar, D.H., Baugh, C.M., Seichepine, D.R., Montenigro, P.H., Riley, D.O., Fritts, N.G., Stamm, J.M., Robbins, C.A., McHale, L., Simkin, I., Stein, T.D., Alvarez, V., Goldstein, L.E., Budson, A.E., Kowall, N.W., Nowinski, C.J., Cantu, R.C., & McKee, A.C. Clinical presentation of Chronic Traumatic Encephalopathy. Neurology. 2013 August 21; 81: 1122-1129. • Kroshus E, Daneshvar DH, Baugh CM, Nowinski CJ, Cantu RC. NCAA concussion education in ice hockey: an ineffective mandate. BJSM. 2013 Aug 20. E-publication. • Seichepine DR, Stamm JM, Daneshvar DH, Riley DO, Baugh CM, Gavett BE, Tripodis Y, Martin B, Chaisson C, McKee AC, Cantu RC, Nowinski CJ, Stern RA. Profile of self-reported problems with executive functioning in college and professional football players. J Neurotrauma. 2013 Jul 15; 30(14):1299-304. • McKee AC, Stern RA, Nowinski CJ, Stein TD, Daneshvar DH, Alvarez VE, Lee HS, Hall GF, Wojtowicz SM, Baugh CM, Riley DO, Kubilus CA, Cormier KA, Jacobs MA, Martin BR, Abraham CR, Ikezu T, Reichard RR, Wolozin BL, Budson AE, Goldstein LE, Kowall NW, Cantu RC. The Spectrum of Disease in Chronic Traumatic Encephalopathy. Brain, 2013; 136(Pt 1): 43-64. • Goldstein LE, Fisher AM, Tagge CA, Zhang XL, Velisek L, Sullivan JA, Upreti C, Kracht JM, Ericsson M, Wojnarowicz MW, Goletiani CJ, Maglakelidze GM, Casey N, Moncaster JA, Minaeva O, Moir RD, Nowinski CJ, Stern RA, Cantu RC, Geiling J, Blusztajn JK, Wolozin BL, Ikezu T, Stein TD, Budson AE, Kowall NW, Chargin D, Sharon A, Saman S, Hall GF, Moss WC, Cleveland RO, Tanzi RE, Stanton PK, McKee AC. Chronic traumatic encephalopathy in blast-exposed military veterans and a blast neurotrauma mouse model. Sci Transl Med. 2012 May 16;4(134):134ra60. • Bagley AF, Daneshvar DH, Schanker BD, Zurakowski D, dʼHemecourt CA, Nowinski CJ, Cantu RC, Goulet K. Effectiveness of the SLICE program for concussion education. Clin J Sport Med. 2012 Sep;22(5):385-9. • Baugh CM, Stamm JM, Riley DO, Gavett BE, Shenton ME, Lin A, Nowinski CJ, Cantu RC, McKee AC, Stern RA. Chronic traumatic encephalopathy: neurodegeneration following repetitive concussive and subconcussive brain trauma. Brain Imaging Behav. 2012 Jun;6(2):244-54. • Stern RA, Riley DO, Daneshvar DH, Nowinski CJ, Cantu RC, McKee AC. Long-term Consequences of Repetitive Brain Trauma: Chronic Traumatic Encephalopathy. Phys Med Rehabil Clin N Am, 3, S460-S467, October 2011. • Daneshvar DH, Riley DO, Nowinski CJ, McKee AC, Stern RA, Cantu RC. Long-Term Consequences: Effects on Normal Development Profile After Concussion. Phys Med Rehabil Clin N Am, 22, 603-670, October 2011. • Daneshvar DH, Nowinski CJ, McKee AC, Cantu RC. The epidemiology of sport-related concussion. Clin Sports Med. 2011 Jan;30(1):1-17. • Daneshvar DH, Baugh CM, Nowinski CJ, McKee AC, Stern RA, Cantu RC. Helmets and mouth guards: the role of personal equipment in preventing sport-related concussions. Clin Sports Med. 2011 Jan;30(1):145-63. • McKee A, Gavett B, Stern R, Nowinski CJ, Cantu R, Kowall N, Perl D, Hedley-Whyte E, Price B, Sullivan C, Morin P, Lee H-S, Kubilus C, Danshevar D, Wulff M, Budson A. TDP-43 Proteinopathy and Motor Neuron Disease in Chronic Traumatic Encephalopathy, J Neuropath Exp Neurol, 2010 Sep;69(9):918-29. • Gavett, B, Stern R, Cantu R, Nowinski CJ, McKee A. Mild traumatic brain injury: A risk factor for neurodegeneration, Alzheimer's Research and Therapy, 2010, 2:18 (June 25, 2010). • McKee AC, Cantu RC, Nowinski CJ, Hedley-Whyte ET, Gavett BE, Budson AE, Santini VE, Lee H-Y, Kubilus CA, Stern RA. Chronic Traumatic Encephalopathy in Athletes: Progressive Tauopathy following Repetitive Head Injury. J Neuropath Exp Neurol, 2009; 68(7): 709-735. © 2015 Chris Nowinski // Site developed by JAZZ RULES.